Gold Crew® has been serving business for over 50 years now, and we have apply this experience to our customer needs. Back in 1965 Dr William McNeely developed the original Gold Crew formula at the request of the US Navy to address the multitude of spills during ship refueling at their San Diego docks. The requirements for the chemistry was that it be non toxic to personnel, does not sink the oils to the shallow sea floor, and enhances the biodegradability of the oils treated. The result was Gold Crew® OSD water based dispersant. This dispersant was used inside San Diego Harbor for several years and dispersed a multitude of fuel spills in the late 1960's. The largest of these was an 80,000 gallon heavy fuel oil spill from a PG&E pipeline rupture. Gold Crew® was also used at the Santa Barbara Channel Islands spill in 1969. For months Gold Crew® was used to address the crude oil that spilled from the fracture in the sea-floor. From these successes, the Gold Crew® was utilized throughout the world to address spills at sea. Dr. McNeely was a true environmentalist. His work produced many ground breaking developments. He owned many patents for his work that include alginates from seaweed and solubilizers/stabilizers from the xanthomonas bacteria. The product, xanthan gum can be found in everything from ice cream to fire fighting foams. His work in the field of food grade gums, stabilizers, and emulsifiers, established him as one of the leading research scientists in the industry. His insight to the environment is what has made Gold Crew the standard in chemical countermeasures involving hydrocarbon mitigation. Quality is important to any manufacturer. Quality is emphasised throughout each step of our manufacturing process. Business support is even a greater need in today's market. Gold Crew is committed to excelling in both area's. 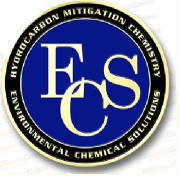 Environmental Chemical Solutions (ECS) is the exclusive manufacturer and world wide marketer for the Gold Crew line of products. ECS has developed the infrastructure to support large and small companies alike. ECS maintains a support team which includes a bacteriologist, a chemical engineer and technical support to assure that your project is a success. ECS also strives to develop programs that work with each clients budget and objective. It's not just about a product, it's about relationship.